Call it smart, call it stylish – call it chic! Even before chic was introduced as a style for our home decorations or set up, it was more popular with the fashion industry, but as time passed, styles that are names for clothes became names for our homes! So, today, we will be seeing more of the chic sense in living rooms. When you check the internet for definitions, it says that chic is smart and at the same time, stylish – just like what we mentioned above. 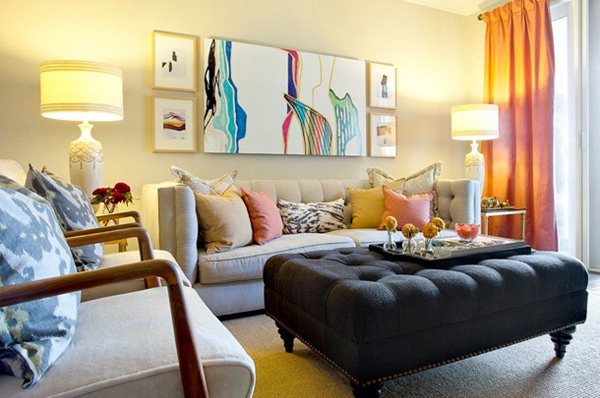 We will be showing you 15 living room designs that cater more on the most chic styles that will pretty much charm you! From the colored pillow cases and sofa fabrics, to the modest decorations – we will be able to determine how rooms are chic for plain girly rooms. Just a heads up, the following room designs will definitely take your breath away. 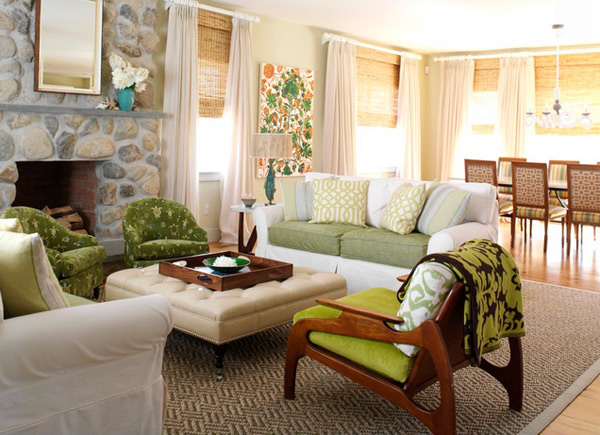 This spacious white living room is beautified by the colorful throw pillows and area carpet. 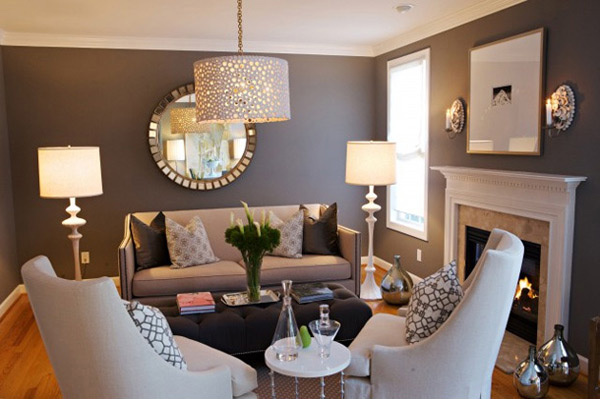 Instead of hanging picture frames on the wall, using of unique shaped mirrors adds drama to the plain wall. 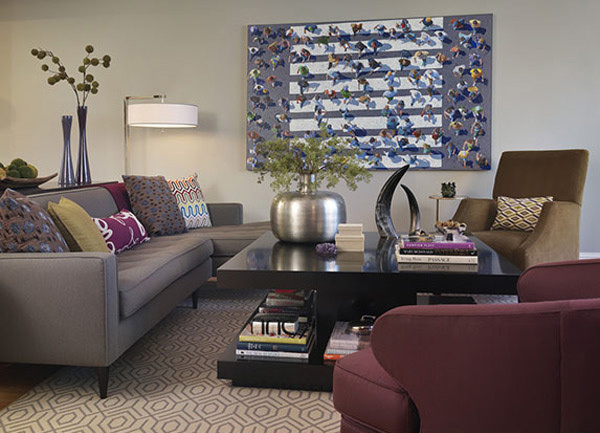 The multi-colored and printed throw pillows gives accent to the plain sofa and the use of a colored but plain pillow contrast well with the printed accent chair. Each one complementing the other. The barrel-like chair gives an interesting vibe in this room. Using specific hues like moss green, the different tones give out an expression of freshness and nature. Pairing this hue with neutral colors like, beige and brown gives a very environmental vibe. Usually, when it comes to chic style, light-colored paint or pastel-colored fabrics are used because it seems clean and sleek. But in this example, we are able to see that the fabric on the chairs are not the normal light-colored fabric, but it’s plain and smart, and the use of printed pillows gives texture to the room. This wide room is made chic by the white furniture and leather accent chair. One chic statement for this room is the industrial stand lamp by the corner. Who can deny that this room is indeed chic? With a pink side chair, blue center table and printed accent walls, this living room is incredibly stylish! A chic living room for a bachelor pad! What can be more fabulous? 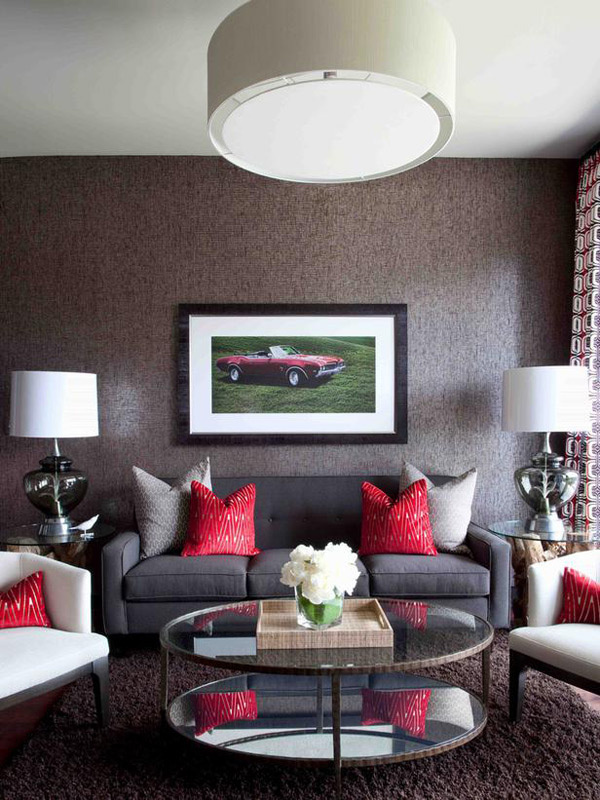 Red pillows for white and gray sofas and chairs, with matching pretty side lamps. One pretty thing about this room is that the designer played with blues and browns. Not really a usual combination, but it sure did complement each other. 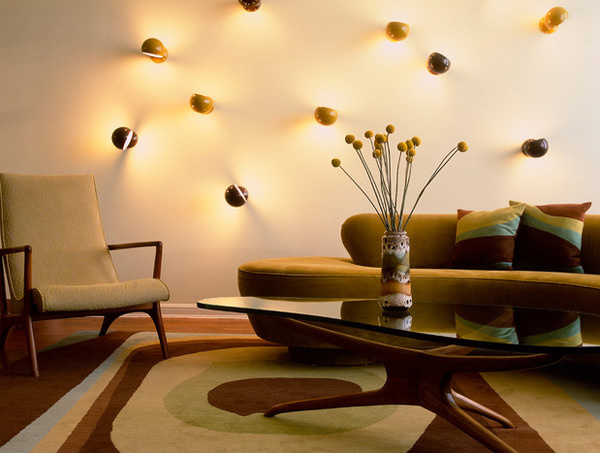 From the name itself, this room is modern chic – modern furniture and decors, sophisticated walls and great flooring. We can achieve this look for our living rooms by using different colored sofas that complement each other, use of colored and printed pillows plus a great patterned Persian carpet, and you’re good to go! This is one room we really love to feature, aside from its classy sofa, the accent frame on the wall is really pretty because of the vintage feel to it. Not to mention the cute dining set. This chic living room will never be out of style – comfy seating, classy lamps and pillows with a pretty painting on the wall, this is one room we would want to have. 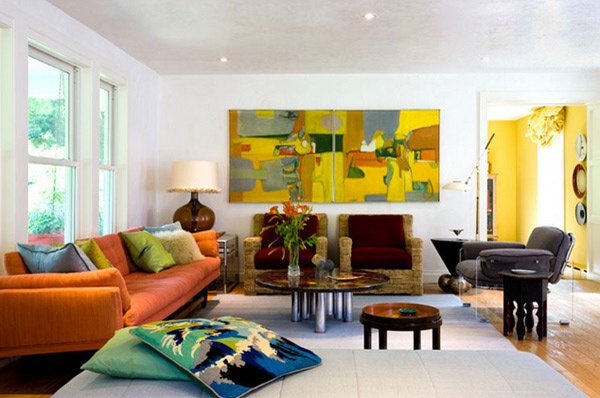 This beautiful living room is accented with colorful materials : examples of which are the paintings, the unique sofas and cutesy pilllows. A black and white living room can be made chic with the right ingredients! Unique furniture – patterned ones can really look good, lovely area carpet and classy decorations. Don’t you just find the wall lighting marvelous? Its matching color with the sofa and the pillow, it sure looks like it was specially ordered! 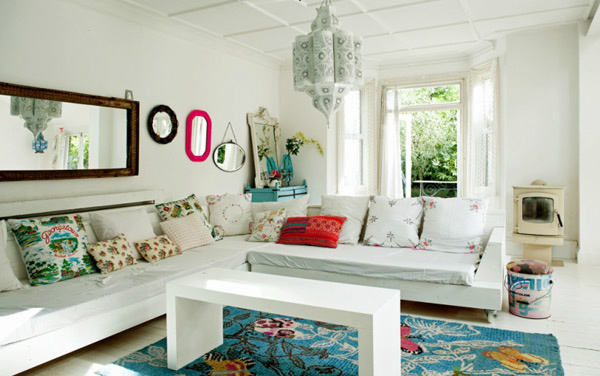 That was our 15 Chic Decorated Living Rooms for your perusal. 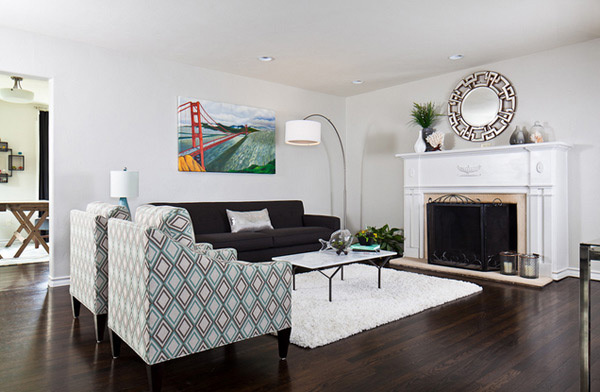 The list may be short, but it sure did give us great insights as to how to plan our living rooms to achieve a chic and stunning look and feel. You may have noticed some usual photos in our list, but believe us when we say, they are the best ones we saw – intended just for you guys! If Modern Chic or Shabby Chic is your bet, we also have them here.